South Africa’s pulp and paper mills currently use only 40% of a tree in its production process; the CSIR in partnership with the University of KwaZulu-Natal is pioneering a new technique aimed at using the tree to its maximum potential – up to 90% – to produce chemicals and other high-value products that would contribute to the evolution of current South African pulp and paper mills into forest biorefineries. The CSIR Biorefinery Industry Development Facility – based in Durban – has successfully developed technology to reduce bleaching costs in the manufacturing of dissolving pulp wood. The researchers have also developed a procedure for the rapid and accurate measurement of chromophores in dissolved pulp wood. The vision for the CSIR biorefinery research and development is to use the methods developed to ascertain causes or sources of problems in manufacturing. This will assist in improving product quality and increasing the competitiveness in the pulp and paper industry. 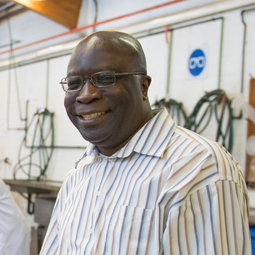 The CSIR is currently in the research and development phase, looking at what could be produced from pulp and paper waste and the viability for South Africa. Making paper is expensive, the process uses a lot of water and energy, and these are two of South Africa’s biggest problem areas. In addition, tons of waste is produced. The CSIR’s plans to revitalise the industry seek to prevent job losses in the industry and create new jobs by streamlining biorefinery to the pulp and paper industry. It also seeks to build capacity and skills required to revitalise the industry and to circumvent landfill costs and its associated problems. The recently acquired equipment is predominantly used for the purpose of analyses. Forest products are developed from previously acquired reactors and digesters. The newly purchased Dionex high-performance ion chromatography system, or Dionex ICS-5000+HPIC, is used for the characterisation of the products developed in the centre. This instrument is used to analyse various components of dissolving wood pulp, such as glucose, hemicellulose and chromophores. The Dionex ICS-5000+HPIC brings a new level of resolution and speed to ion chromatography analyses with high operating pressures. Lignin is a high-value product of forest biorefinery and the newly acquired Wyatt Size Exclusion Chromatography (SEC) multi-angle light scattering (MALS), allows the facility to determine the molecular weight of lignin, hemicellulose and other high-value products. The new micro balance will be used to quantify samples on a micro scale. 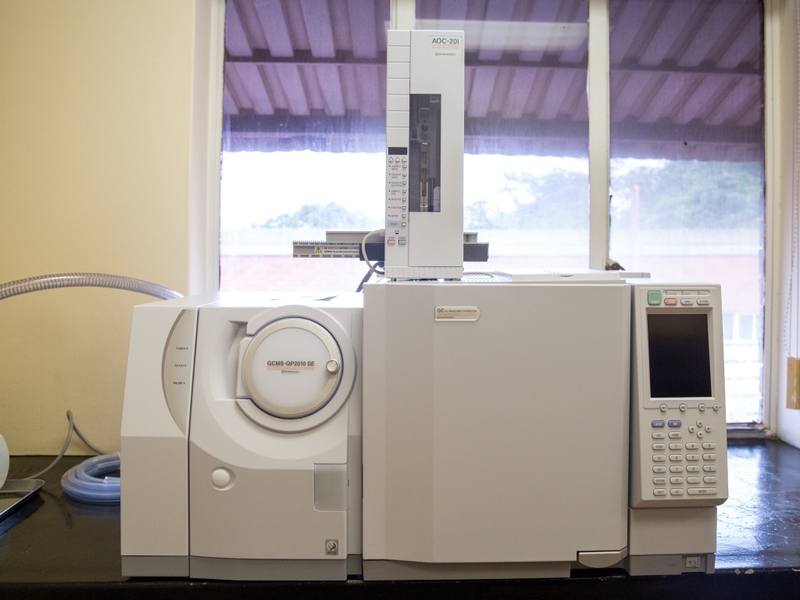 Prior to acquiring this equipment, CSIR researchers could only conduct qualitative analyses of the samples. The accelerated solvent extractor is able to automatically extract up to 24 samples, drastically increasing productivity. It extracts solid and semisolid samples using common solvents at elevated temperature and pressures. Some of the components it is able to extract, include hydrophilic and lipophilic extractives. A new analytical instrument to determine the concentrations of carbon, hydrogen, nitrogen, sulphur and oxygen allows for the determination of the exact concentrations of the waste. It is envisaged that this suite of new equipment will be instrumental in current laboratory-scale trials to ascertain which high-value products can be generated from biomass. Once a successful line of products has been generated and the process deemed viable, product generation can move to pilot, and then industry scale. Biorefinery entails the extraction of value from waste to produce high-value chemicals and other products that would help revitalise the industry. In South Africa, the potential to extract value from pulp and paper waste is negated since it ends up in landfill sites. This poses huge health and environmental risks as large amounts of greenhouse gases are released from the waste.